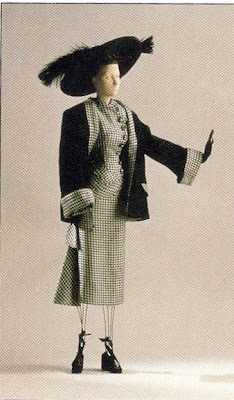 This outfit was designed by Jean Desses. I made it out of a tiny black and white check and black wool. The hat is made of wool felt.